Coralie and I are constantly working on ways to make FTTDWYW harder. better. faster. stronger. From the beginning of FTTDWYW, Coralie and I have wanted certain things for the blog- mainly for the blog to be instinctive, intuitive… for you to get on and immediately GET IT… with lots of bells and whistles. Unfortunately, after four months of researching plug-ins and widgits, we have determined that a specific whistle that we wanted is beyond our technical coding skills (as we are both self taught in this game) and we have had to compromise. One day, when we are rolling in scratch, we will be able to pay a web designer $600-$800 to make this one dream come true… but, until then we would rather have a functional index of all our posts over a dream. Our readers need to be able to search the back catalogs! I have been working this week on doing some much needed blog housekeeping and although we are still working on the Things We Like and Things We Do pages, the bulk of our pages have now been fully indexed. So, you should check them out… who knows what treasures you might find!!! All index pages should be fully operational by the end of this weekend (which is overdue, I know) but (believe it or not) Coralie and I both have lives outside of the blog! *Gasp* I know! 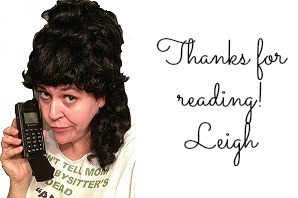 Thank you guys so much for reading! If it weren’t for you, what would be the point, really? 😀 Thanks for bearing with us while we figure out the best way to be the best bloggers! Now that the housekeeping portion of the post is done, I am soooooo excited to make this next announcement… due to the popularity of the last post, our very own resident Non-Judgmental Lawyer has acquiesced to answer another round of questions! We will be accepting question submissions until the 4th of September! For all information regarding who the N.J.L. is or the specifics of how this works, be sure to check out this post! And this one, too! Free legal advice, guys! Doesn’t get much better than that! Email your questions to fttdwyw@gmail.com . How exciting, right? We are so tickled to have this feature back on the blog! So, get those questions in. Whether it is a situation you are currently dealing with or if it is just something you’ve always been curious about, hit up our N.J.L.! You’ve got questions… they’ve got answers! 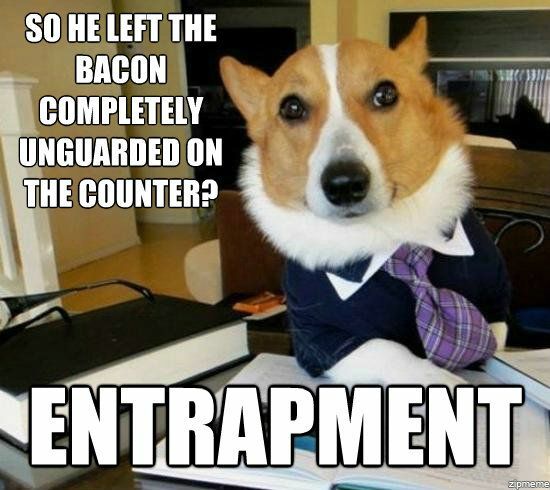 *Non-Judgmental Lawyer is not, in fact, an adorable corgi with a tie. The index pages look GREAT! Your hard work is so worth if!!! Love them! And the NJL! So glad that’s rolling! I have a question- should I be carrying liability insurance on my house, like in case somebody injures themself on my property & decides to sue me.